This is broad in scope. Cannabis has many different types of products. Marijuana is the flower of the Cannabis plant which produces the high, contains high levels of THC & CBD types of components. The way you can look at it is when you ingest "Marijuana" the mind altering component produce the high from the Cannabinoids of THC. 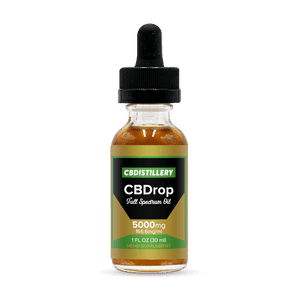 It includes the components of CBD another type of Cannabinoid and there are many varying types which encompass this type of product from cannabis. Marijuana is high resin high THCA, which turns to THC when heated or degenerates over time. Same is true for CBDA, which turns to CBD. Essentially from heat and/or degeneration from time the A drops off. Hemp is another type which has recently become legal in all 50 states of the USA via the passage of the 2018 Farm Bill. Hemp is classified under Cannabis and is different in the fact that it is a low resin low THCA (<3%) and high in CBDA and other types of cannabinoids. This is the part I am vesting myself in and base my business on. Hemp is a different strain of Cannabis, low to no THC (the mind altering agent) and high in CBD which has many medicinal uses and produces no mind altering affects. My name is David Darby and I have created Throw Bags. 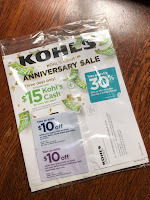 Throw bags can quickly thrown or tossed onto the front porch of a residential or business location with a potential client. It includes information which should cause a high curiosity, due to its design and contents. Its opened by the person(s) and read and looked at. Its not just a folded brochure or similar type of marketing material which you quickly want to disregard to file 13. My marketing Throw bags creates a curiosity in most people to take a look at what is inside, and what it is inside gets them to request more information from you about your CBD products and the OPPORTUNITY. That is exactly what you want to create. You want to be in front of people. So your looking to get in front of people and that is what my marketing is designed to do. The marketing system which you combine with the CBD line of products makes it unique and new causing a curiosity to find out more. Your point in using the Gratuite Lavie marketing is to get the message out about CBD products made from USA grown Hemp based products and to show the Business Opportunity to others with the object to get them involved as either a retail customer or as wholesale/retail CBD business such as yours. (1) You will get 400 GL Throw Bags (GLTBs) each month which are used to get an initial response from your physical efforts which is simply going around to homes and businesses and toss out to the front door the marketing GLTBs materials. When someone contacts you from your GLTBs about CBD and/or the business opportunity you will set a first appointment. Set it for about a 30 minutes. You will introduce yourself in person and after some time to get to know each other a bit, explain what CBD oil from Hemp is and its multitude of benefits, you then will leave a 10 day trial sample with them to use. You will then do a follow up in about 5 days because they have had time to try out our CBD hemp based product. Now they are should be closer to becoming either a retail customer (a good thing) or a wholesale associate underneath your sponsorship (a better thing). Both are awesome events for you and your business as well as for this new person using our CBD products to feel better both physically and mentally. The process then repeats and you are building your business. The 2nd method of marketing is B2B and this is can be quite lucrative in the sales of CBD products to these businesses because of the higher quantity of products purchased because they will be reselling and making profits, you as there distributor. When you repeat this offer and make a sale of the Gratuite Lavie Marketing Opportunity you will make money. Your share is $1000 on your direct 1st line and $400 on your 2nd line of businesses you start up. Your 2nd line is people who get involved with this business model who are under those people which you directly got involved and signed up for the business. The Start up investment is $21,000. A 28.57% down payment of $6000. The remainder of $15,000 over the next 12 months, which is $1,250 per month. The investment yearly is the same. You will receive a license to market the Gratuite Lavie CBD products and Business Opportunity. I'm am invested into your success, and in seeing real results and look forward to you building for yourself a business which you can truly rely on for your future income source from the Cannabis Industry. I can be contacted via email at David@GratuiteLavie.com and the Gratuite Lavie CBD business phone line is 1-858-939-9595. We can discuss any further questions about this business opportunity and get you going immediately making money from both sales of CBD products and the marketing system. This is a 1099 business opportunity and you will be treated as such. You make your own hours and can take guidance from Gratuite Lavie CBD. I believe you will amazed at how much your life will change by promoting both the CBD Hemp based products along with the Gratuite Lavie Marketing business. BTW, How much do you think this mailer cost this company? Its thick and heavy and what I understand most companies biggest expense is marketing. Im guessing $1-$1.50 in cost to get just this one item into a mail box. Its all about marketing in today's business world.